Italian producers will be able to export their DOP and IGP products with their name, even if they were registered in Canada with the same name. 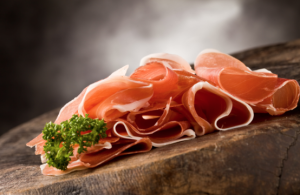 Negotiations between the European Union and Canada have been closed with important news regarding the DOP and IGP products: the trade agreement allows that all Consortia of Italian hams can export under the brand name of the Consortium. Until now it was necessary for export to change the name of the product if the same name had been registered in Canada (as happened for Prosciutto di Parma). «Canada was a closed country for us. Surely this is an important first step - commented Giuseppe Liberatore , president of the Italian Association of Consortia Geographical Indications. In Canada we have so far had to do with local productions that fake the Italian ones. There was never the opportunity to bring to Canadian market our real products, unless we changed their name». Now the conditions for equal competition are there: «We did a test a few months ago in Rome - says Liberatore - comparing the Italian Prosciutto di San Daniele and the Canadian one that, produced from the 70s from St. Mary Foodsltd of Brampton, uses the same name ‘San Daniele’ thanks to a trademark registration in Canada that is affixed to hams , mortadella and speck. The comparison was strong: although the name was the same, no one ate the Canadian ham!».